Your child’s welfare is our first priority. In order to protect your child, there are certain procedures to be followed in Extended Care.  We ask that every Kindergarten and Elementary parent complete a Dade Christian School identification card for each person designated to pick up children. This card is to be presented at the sign-out table. A colored card for that day will then be given to a parent or guardian that will allow the counselor to release your child. Before 3:15 p.m., you may pick up your child in his/her classroom; after 3:15 p.m., he/she will be in Extended Care. We do not allow elementary students to wait for parents outside the building. We do not allow other students to pick up younger siblings unless they are in High School and a parent is waiting in the car. Parents will be charged for Extended Care beginning at 3:15 p.m.